Ed, look. Something has happened. It’s about your country and mine. It’s serious—believe me. Come!" 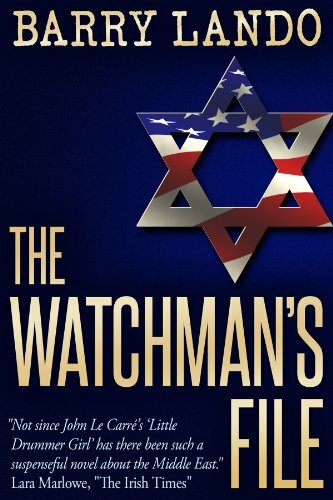 Ed Diamond, reporter for “Focus”, America's preeminent TV news show, is summoned urgently to Israel by an old friend, Dov Ben-Ami, formerly a top official of Israel's Mossad. But before they can meet, a terrorist bomb blows Dov apart. Determined to discover why the Israeli was killed, Diamond embarks on the most astonishing investigation he’s ever undertaken. From the Dead Sea to the Old City of Jerusalem, to Tel Aviv and Paris, Washington and New York, he unravels an on-going mystery that began with the nefarious links between America’s greatest corporations and Hitler’s Third Reich. In the end, Ed attempts to thwart a deadly terrorist attack targeting Manhattan.